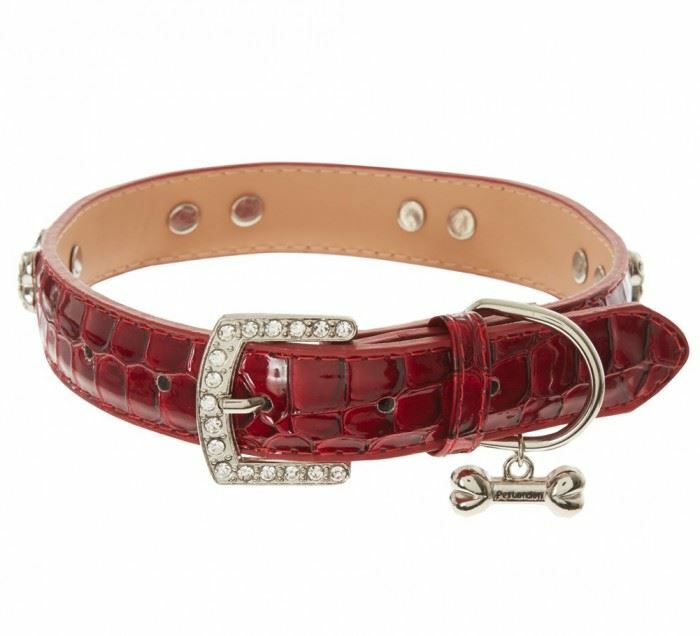 Dress to impress wearing Crocodile Rock Dog Collar by Pet London. 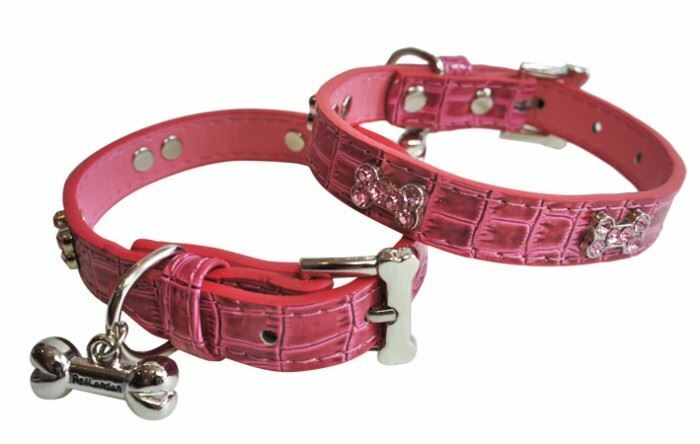 These beautiful, top quality dog collars are designed for the uptown pet. 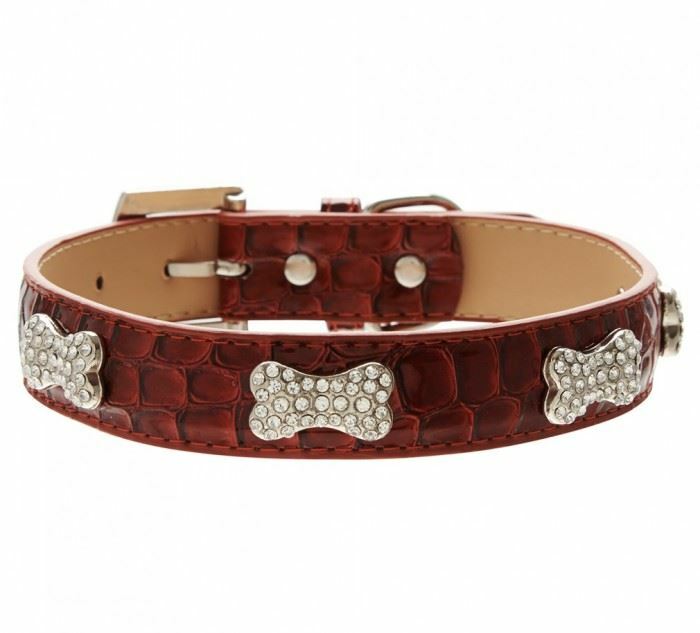 This collar features stunning rhinestone sparkling bones set against a faux Crocodile leather. Included on the Crocodile Rock Dog Collar is a sparkly and spectacular silver metal bone charm. 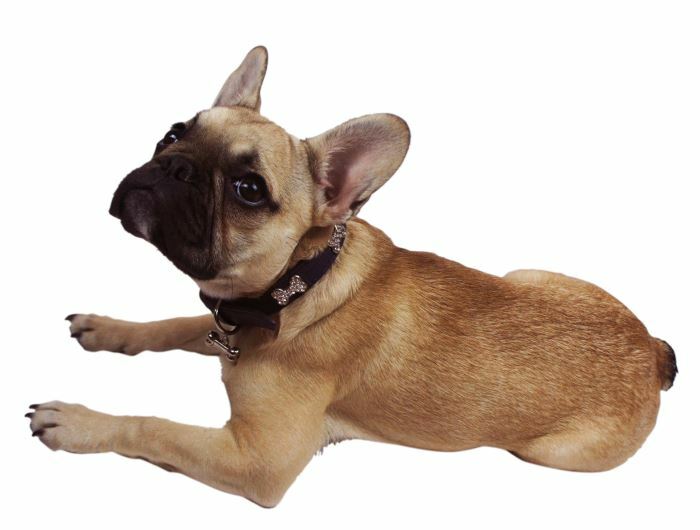 Next to the buckle is a silver ring for attaching your pets leash. Available in black, red and pastel pink. Measure around the collar line and select the size below that fits!